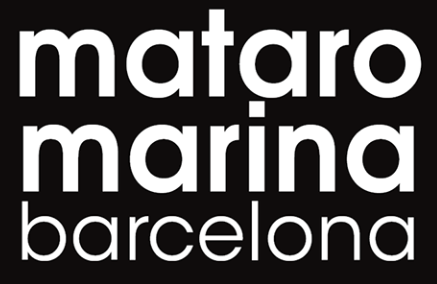 Mataró Marina Barcelona has hosted its 1st Refit Conference under the organisation of the Barcelona Clúster Nàutic, Daevi and Varador 2000. The event, directed towards professionals involved with the maintenance and repair of boats, has strengthened training and networking in this sector. It has also facilitated a dialogue between business and administration, as the event was attended by the manager of Ports de Catalunya, Joan Pere Gómez. David Bote, mayor of Mataró, introduced the conference before the ‘Present and Future of the Refit Sector in Catalonia’ meeting commenced, involving Toni Tió, president of Barcelona Clúster Nàutic, along with the representative of Ports and the CEO of Varador 2000, Xiqui Mas. “The nautical sector is an economic motor and I am aware of that, in the towns, the company that creates more employment is always the port,” he commented. The second meeting focussed precisely on the training needs of the sector, including the director of the Institut de Nàutica de Barcelona, Feliu López Vidal, and the co-ordinator of the CFGM of the Manteniment embarcacions esportives i d’esbarjo of the Institut Miquel Biada of Mataró, Sergi Novo. According to López, the training responds to part of the needs of the companies, although it is true that the catalogue should be expanded with more specialised training. Jotun has been in charge of the training paper ‘The new regulations on anti-fouling’, compiled by Gemma González, yachting concept director, and Eduardo Díaz, senior technical support yachting. The representatives of this multinational paint company have shed light on the new regulations in biocides, the substances that prevent life from growing in this case on the hull of the ship, and stressed the need to combine protection and aesthetics in the anti-fouling, which represents a very important part of the refining sector. Eli Martín, director of marketing and communication at Daevi, presented the paper ‘Advantages of using the cover in the refit’. In relation to the protection products for refit work that Daevit produces, Martin stated, “It is better to prevent it than to cure it, it is worth more to protect than to clean it”. Eloy Bautista, technical director of Eceleni, lead the ‘3D printing arrives to the refit sector’ discussion. The conversation addressed the possibilities of introducing this new technology into the industry to make some of the spare parts necessary for the repair of boats. Bautista declared that 3D printing represents a revolution, since it enables people to manufacture pieces that may no longer be for sale and also with sustainable biodegradable materials, although it cannot solve everything.